It is a common misconception that in order to launch a home business, you must have a product that can be sold. Fortunately, this really is not the case. Lots of different types of home businesses have the potential to provide you with a great living and do not require you to sell and ship actual merchandise. The article that follows includes several useful ideas for starting such an enterprise. A terrific home business option for those who do not wish to sell products is to launch a freelance writing career. There are many web-based writing platforms available through which writers can find paying work and build a reputation as a talent in the field. From there, you can branch out and begin seeking a private clientele that is likely to pay higher rates and offer consistent, reliable work. Opening a private, in-home daycare is yet another great choice for those wishing to work from home, but who want to steer clear of selling and shipping merchandise. While you must do your research and make sure you have all necessary licenses and certifications, operating a daycare out of your home can be a rewarding experience, both emotionally and financially. Anyone who loves children really can create a terrific lifestyle by launching this type of home business. Consulting offers burgeoning entrepreneurs to utilize skills gained in more conventional employment settings while also enjoying the flexibility and freedom a home business can provide. Perhaps you are a lawyer who has grown tired of law firm life, or a CPA who wants to spend more time with your children. Both types of professionals can find fulfilling and lucrative home business opportunities by putting their expertise to work on behalf of private clients. All of this can feasibly be done from the comfort of your own home office. Opportunities for virtual assistants have grown exponentially in recent years, and launching a home-based business concentrating in this realm can be a perfect solution if you really do not want to sell products or be responsible for a physical inventory of goods. Performing all sorts of tasks remotely for others is a great way to build a home business, earn money and control your own destiny. If you have substantial credentials in the field of education, yet would prefer to operate your own home business, tutoring may be the answer. Students of all ages and skill levels require personalized, one-on-one assistance with a wide range of subject areas, and are willing to pay respectable rates to get it. By launching a home-based tutoring business, you can put your considerable talents to work, help students achieve their full potential and make a good living from home, all at the same time. For many current and former educators, this possibility is nothing short of ideal. 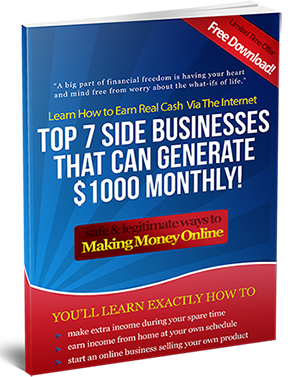 The preceding piece offered a number of great ways in which you can launch a home business that does not involve selling things. Think about your interests and talents, and allow them to determine where you go from there. It may be that your new enterprise has the potential to offer you the lifestyle of which you have always dreamed.